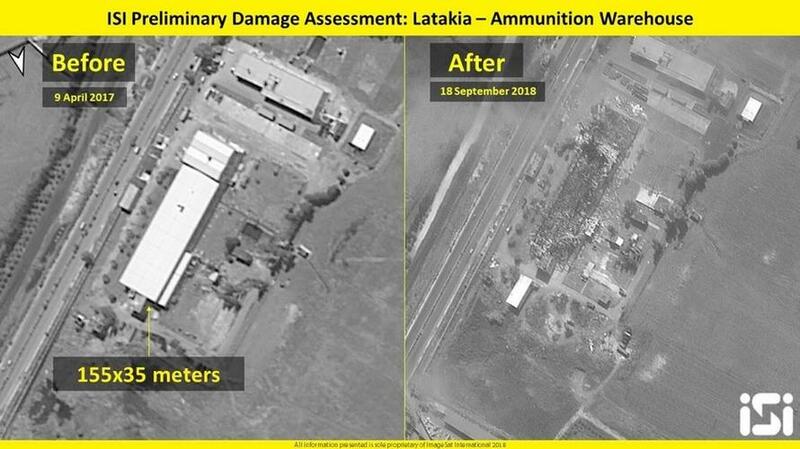 An Israeli satellite imaging company has released satellite photographs that reveal the extent of Monday night's attack on multiple locations inside Syria. Syrian official SANA news agency reported ten people injured in the attacks carried out of military targets near three major cities in Syria's north. 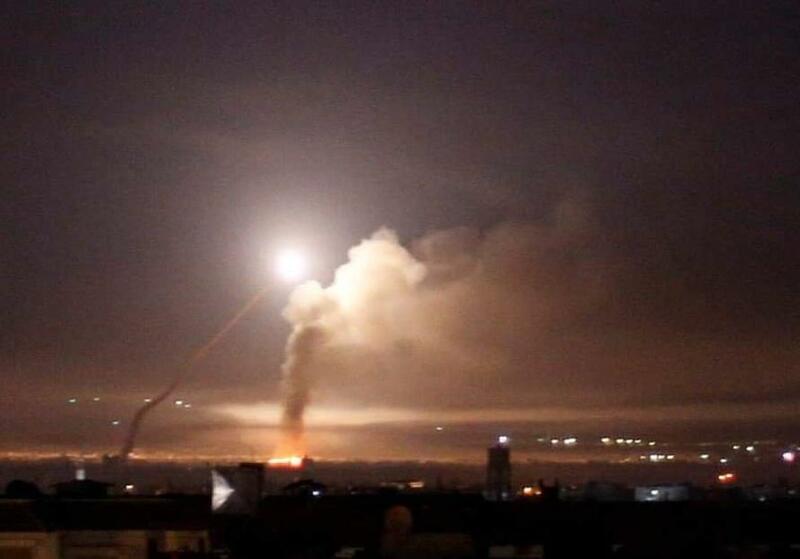 The Russian S-400 system was reportedly active during the attack, but it's difficult to confirm or assess the extent to which Russian missiles responded during the strikes. 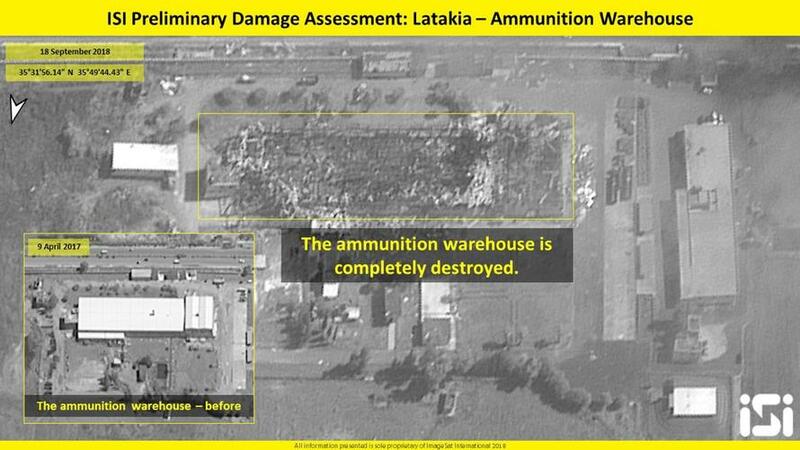 Three of the released satellite images show what's described as an "ammunition warehouse" that appears to have been completely destroyed. According to Russia's RT News, "Major-General Amikam Norkin will arrive in Moscow on Thursday, and will present the situation report on the incident, including the findings of the IDF inquiry regarding the event and the pre-mission information the Israeli military was so reluctant to share in advance." Russia's Defense Ministry condemned the "provocative actions by Israel as hostile" and said Russia reserves "the right to an adequate response" while Putin has described the downing of the Il-20 recon plane as likely the result of a "chain of tragic accidental circumstances" and downplayed the idea of a deliberate provocation, in contradiction of the initial statement issued by his own defense ministry. Pro-government Syrians have reportedly expressed frustration this week that Russia hasn't done more to respond militarily to Israeli aggression; however, it appears Putin may be sidestepping yet another trap as it's looking increasingly likely that Israel's aims are precisely geared toward provoking a response in order to allow its western allies to join a broader attack on Damascus that could result in regime change.